It ain’t exactly the crime of the century. In fact, everyone from grandmas to teens do it. 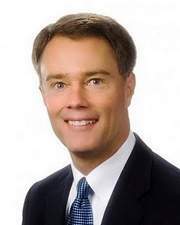 In this case it was the Indianapolis U.S. Attorney Joseph Hogsett who was busted for speeding. And he apparently felt he needed to publicly apologize for his law breaking ways. The IndyChannel.com reported that Hogsett was ticketed for driving 65 in a 55 mph zone last Tuesday while driving from Terre Haute to Bloomington. “The fact that I was running late to a previously scheduled meeting in Bloomington in no way justifies exceeding a posted speed limit,” he said in a statement, according to the station. His office said he was in the process of paying the $130 fine. Posted: 4/10/11 at 11:42 PM under FBI, News Story.